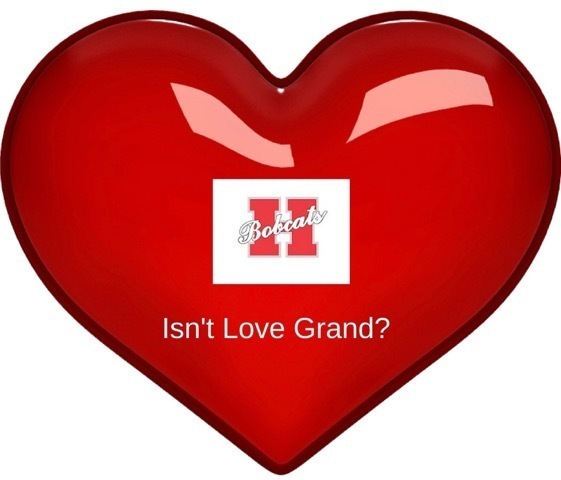 Valentine’s Day gifts sent to your student or sweetie in the Hope Public School District will be subject to guidelines that vary by campus. Hope High School Principal Bill Hoglund said gifts sent to the HHS campus should be delivered to the high school auditorium between 7:30 and 10:30 a.m., Thursday. The student recipient’s full name and grade should be clearly written on an accompanying tag. Hoglund said balloons will not be accepted because they are not allowed on school buses. Deliveries at Yerger Middle School will be accepted from 8-11 a.m., and no balloons will be allowed, Principal Josclyn Wiley said. Valentine’s Day class celebrations will be held at 12:50 p.m., prior to early dismissal at 1:20 p.m. for Parent/Teacher conference night, Wiley said. YMS will host a Valentine’s Day Dance for its student body Thursday from 5-7:30 p.m. Students must sign-in to attend, and tickets are $5 each. Deliveries at the Hope Academy of Public Service campus will be accepted from 7 – 10:30 a.m., according to Principal Dr. Carol Ann Duke. Gift items should be less than 18 inches tall, and must be labeled with the recipient’s name, grade and advisor’s name, Dr. Duke said. No balloons will be allowed on school buses at HAPS, and students receiving balloons with gifts must leave campus by car. Those students must notify the HAPS office before 11 a.m. that they will be car riders on Thursday, Duke said. Class celebrations will be from noon to 12:50 p.m. in advisory classes prior to 1 p.m. early dismissal, she said. Valentine’s Day deliveries to the Beryl Henry Elementary School campus should be made between 8 – 10:30 a.m., according to Principal Dr. Roy Turner. Gifts should be tagged with the student recipient’s name and homeroom teacher’s name. Balloons will not be allowed on buses, and any gifts which include balloons must be picked up at the campus office by a parent or guardian. Deliveries at Clinton Primary School will be accepted from 8 -11 a.m. Wednesday, Robin Townsend, assistant principal, said. Gifts must be no larger than 18 inches tall, and must be clearly marked with the student recipient’s name, teacher’s name, and grade. Gifts with balloons will not be allowed on school buses.